ENL offers very competitive rates, especially with Plan G and even Plan N. Partnered with Heartland Financial Group, your business with ENL can earn you Cash Bonuses, an all expenses paid trip in 2019 and even a Brand New Car! Learn more during this recorded webinar, or feel free to call our Marketing Team, waiting to assist you. $100 per underwritten approved application. 7th day of the following month. brand new 2019 Mercedes CLA 250! Qualification Dates: February 1st, 2018 to January 31st, 2019. Equitable National Life is a subsidiary company of Equitable Life & Casualty. The heritage of Equitable Life & Casualty and our commitment to caring dates back to the Great Depression of the 1930s. With the enactment of Medicare in the mid-1960s, the company found its niche in the senior life and health insurance market as an innovator in Medicare Supplement insurance coverage. Consistent with this market focus, Equitable currently offers Medicare Supplement, Final Expense Life, Hospital Indemnity, Cancer and Short-Term Care insurance products. 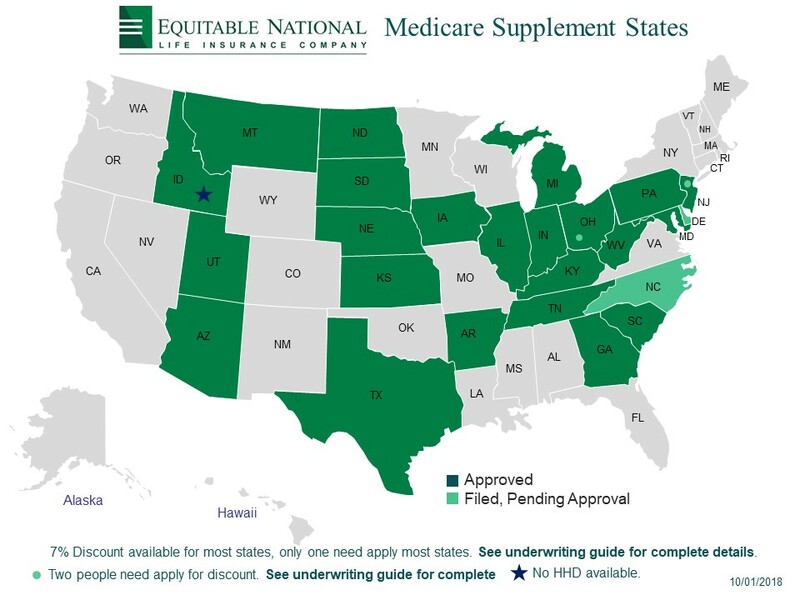 We are very excited to announce, Equitable National Life (ENL) will release its first product, offering a Modernized Medicare Supplement available in 16 states. A total of 34 states are currently filled for approval. Yes, I am interested in contracting with Equitable National Life. I would like to hear from you at your earliest convenience. Complete the form below and a representative will get back with you soon.